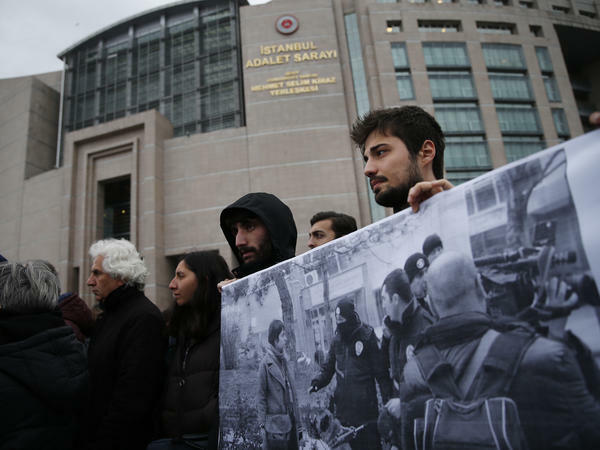 Demonstrators hold a banner outside a court in Istanbul, last December, when Turkish academics went on trial for signing a declaration calling for the end of hostilities in Turkey's southeast. 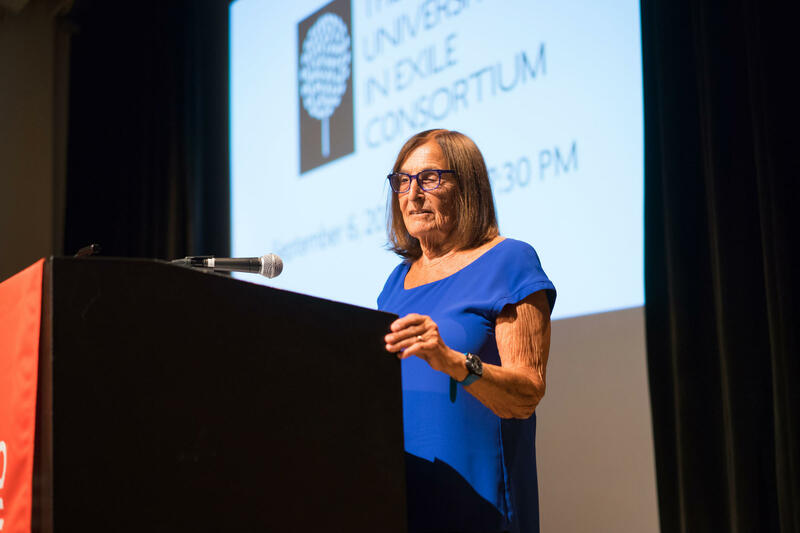 Arien Mack, a psychology professor at New York City's New School for Social Research, speaks at a New University in Exile Consortium event last week. 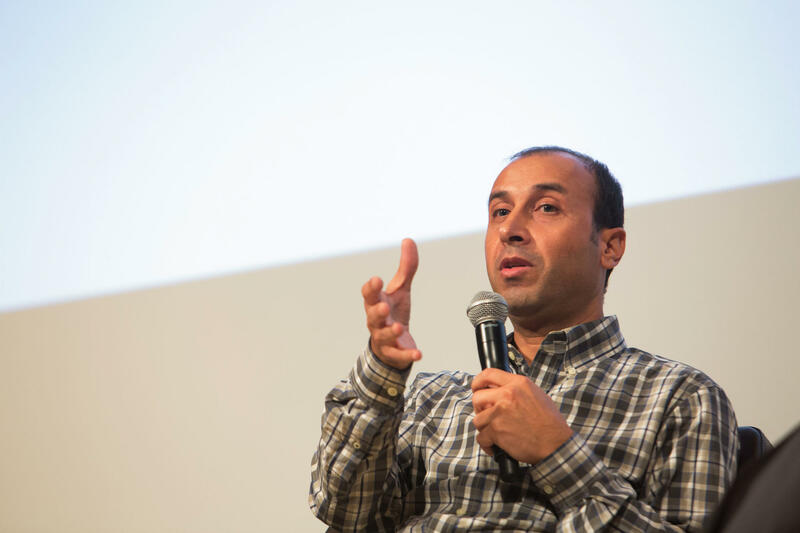 Mack launched Endangered Scholars Worldwide in 2007 and now oversees the New University in Exile Consortium, which is bringing exiled scholars together for seminars, workshops and conferences. 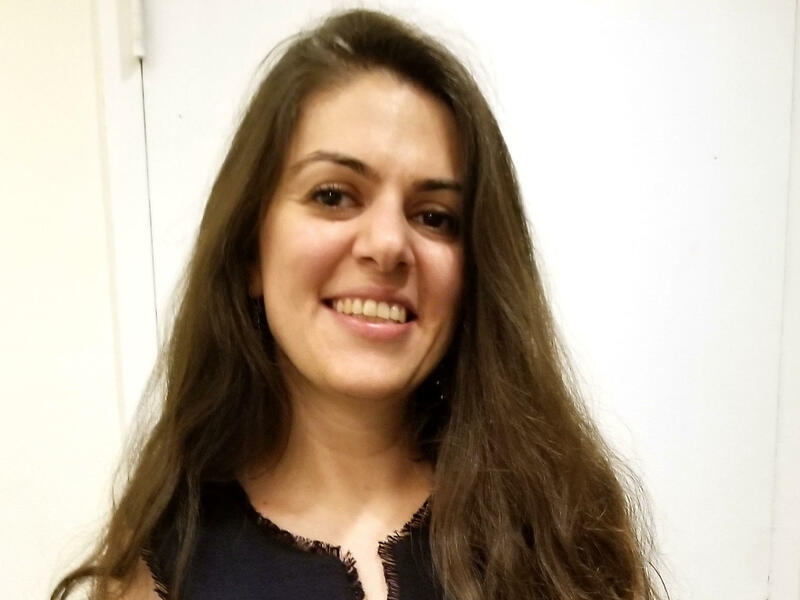 "Speaking truth in Turkey means you are going to end up in jail," says Turkish scholar Nazan Bedirhanoglu, who has been welcomed at Wellesley College in Massachusetts.